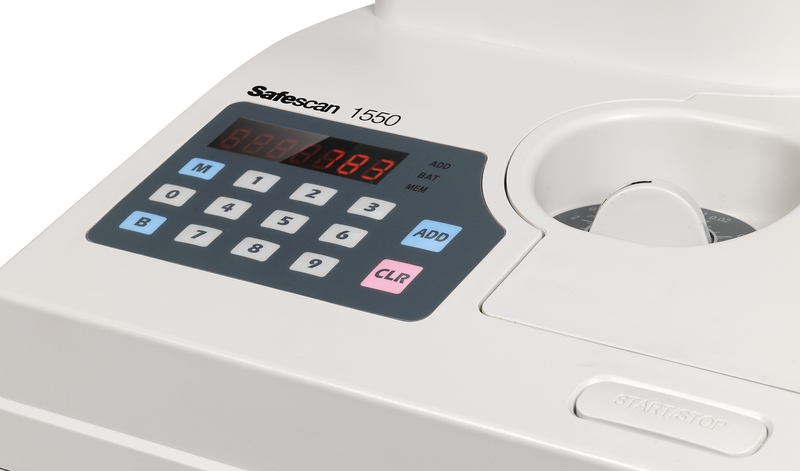 With a spacious hopper that holds 5.000 coins and a counting speed of 2.300 coins per minute, the Safescan 1550 is the perfect tool if you regularly deal with large coin volumes. Have more than 5.000 coins to count? No problem. Just press the convenient “add” button and the 1550 will automatically track the total count across individual runs. Two adjustable switches enable you to set the diameter and thickness for any coin you want to count—even round tokens and casino chips. To successfully count unsorted coins always start with the coin denomination with the biggest diameter. All coins with a smaller diameter are automatically sorted out to the rejected coin outlet. After counting the coin denomination with the biggest diameter, proceed counting the next denomination with the following next biggest diameter. 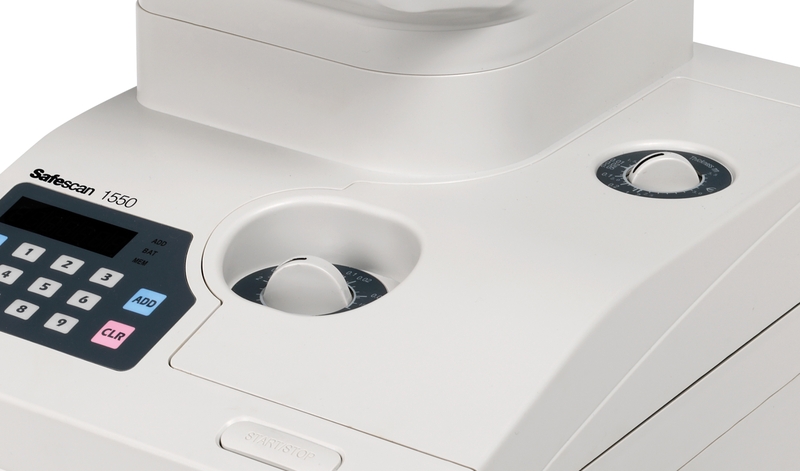 Let the 1550 help you optimize your cash-counting workflow. Simply press “batch” and enter the desired number and the 1550 will automatically pause each time it reaches the programmed amount. 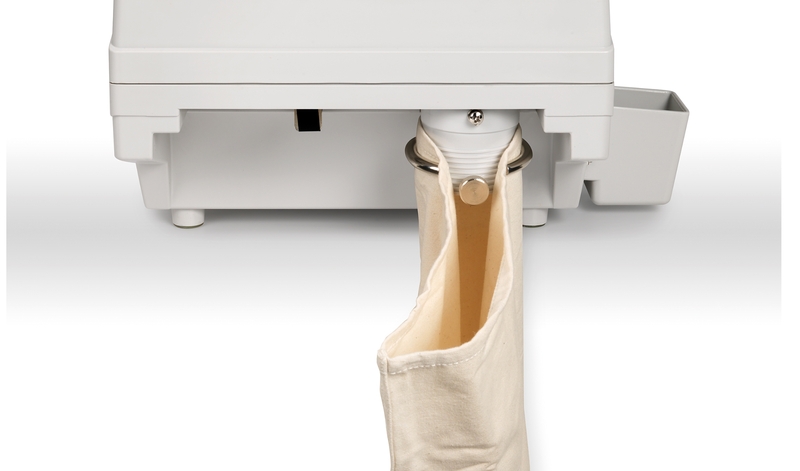 There’s no faster way to prepare your coin rolls, bank deposits and cash drawers. 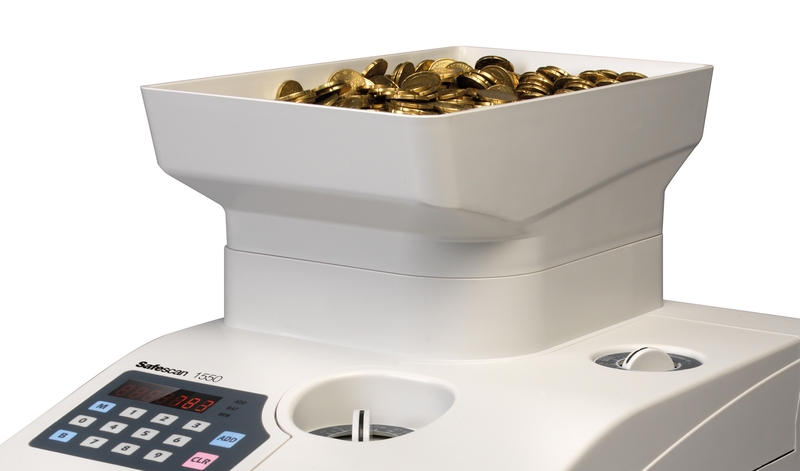 The 1550 will automatically divert all extraneous coins or tokens to a separate cup, ensuring that only the coin type you’re counting makes it into the bag or roll.